Socrates said that “wonder is the beginning of wisdom.” In my book, I talk about the importance of wonder in the context of leading a fulfilling, meaningful, and interesting life. One of the best ways to keep wonder alive is to get outside of our normal environment and travel. 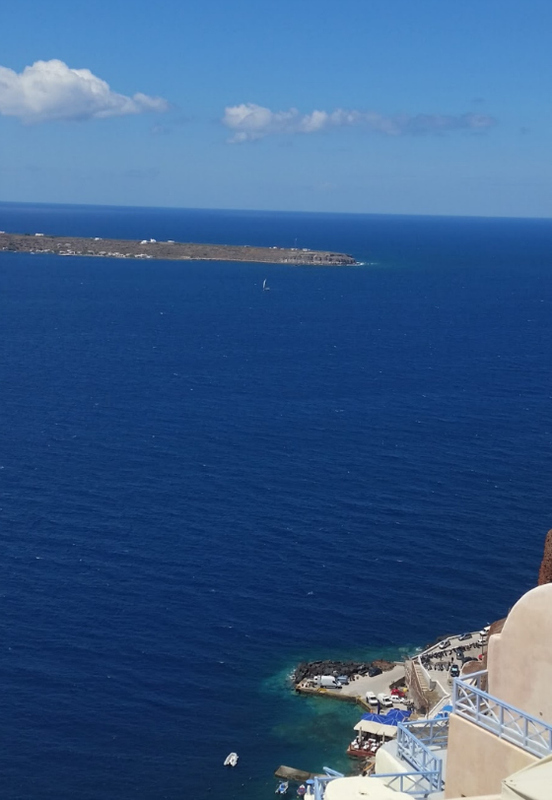 An international trip is particularly good for this because it is often so different in terms of the architecture, history, culture, language, topography, economic drivers, geography, food, and societal norms. 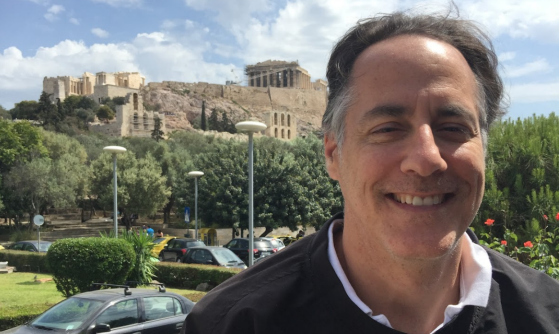 I had the good fortune to recently take a three-week vacation that included a week in Israel, a cruise of the Greek Isles and a few stops in Italy, and ending up in Rome for three days. I am somewhat of an adventurous traveler with a deep curiosity. I also like beautiful places so the trip was a good combination of hard work, relaxation, and exploration. It also reignited wonder for me which had been too dormant. What follows is a pictorial representation of some of the highlights and what I found interesting and/or WONDERful about where I was. Barbara Tuchman described Israel as “The land of unlimited impossibilities.” What a perfect description. It is in a very tough neighborhood and chaos is unfolding on some of its borders that were previously quiet for many, many years. Terrorism is always a threat, it is the smallest country in the region and must spend a significant percentage of GDP on defense. And yet, with all of that, it is extraordinarily prosperous and innovative. It truly is an amazing country to visit for anyone interested in history, religion, economics, science, technology, real estate, or just to relax on its beautiful beaches.I have much more I can say about Israel, but I will have to do that in a later blog post. When I stop and think about this picture I am really struck by how important this place is to the world. It is the Temple Mount that includes the holiest place in Judaism, The Western Wall, and the third holiest place in Islam, Al Aqsa, as well as The Golden Dome. 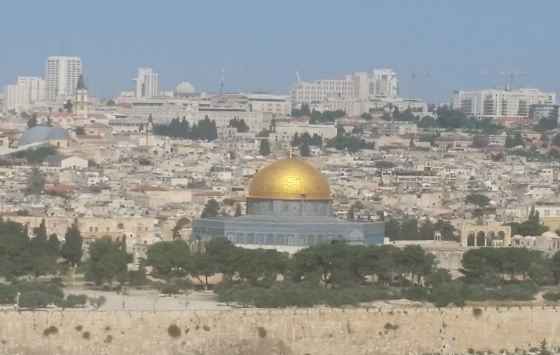 This is where so much tension lies and yet when I walked the streets of Jerusalem and drove through East Jerusalem, I did not sense that. People were going about with their lives. Jerusalem is one of the most incredible cities in the world given its extraordinary history, religious significance, the palpable divisions between the Palestinians and Israelis, as well as their integration in daily life, and one of the most beautiful cities as well. It truly invokes awe and wonder. Although I would not be allowed to go into Al Aqsa, I did have the opportunity to do so a long time ago. I am not one to pass up such an opportunity and went for it. I went inside very quickly and it was beautiful to see. 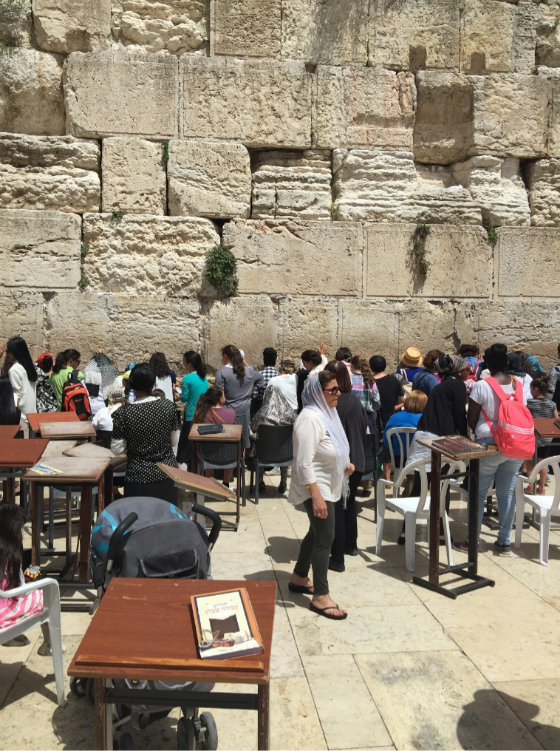 This next picture is the women’s side of the Western Wall and shows many people praying. And no, I did not take this picture. It is very powerful to visit this place. There is an incredible energy and seriousness that is evoked by it. The second holiest site in Judaism is the Tomb of the Patriarchs. This is supposedly where Abraham, Isaac, Jacob, Sarah, and Leah are buried and the place where Adam and Eve were believed to have ascended to heaven. 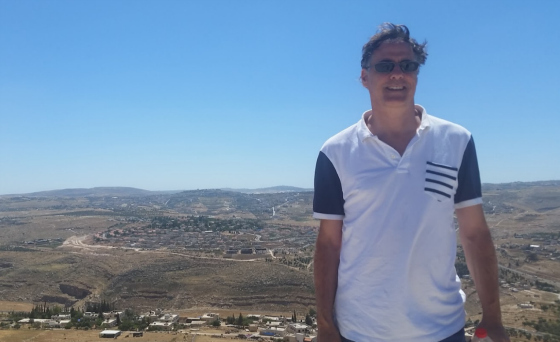 The one perceived challenge to getting there is that it is located in Hebron, which is in the heart of the West Bank and where a lot of violence has taken place. It is considered to be a dangerous place to visit for Israelis and Jewish visitors. When I would bring up with Israelis that I have wanted to visit there for some time now people would look at me like I was crazy. This didn’t deter me and, in fact, may have motivated me even more. I had gone to the Soviet Union in 1985 and did some risky things while there (perhaps fodder for another blog), visited South Central Los Angeles after the riots in 1992, slept in train stations in Europe, didn’t shy away from a youth hostel in London run by a very eccentric Yugoslav who had funeral music playing in the background who greeted me as I was ascending stairs with water seeping out and the smell of mold in the air (money was tight), my wife and I got robbed on our honeymoon in Italy and drove around Milan with broken glass not knowing a word of Italian trying to find a police station, I spent five months in Europe, and the list goes on and on. I love purposeful traveling, especially when I can see with my own eyes whether what people perceive and report on is accurate. I wanted to go to Hebron! As luck would have it, a tour guide we had used to go through other parts of Israel had a free day and was willing to take me there, along with the daughter of a family friend who was in Israel for a year. He had not been there in 10 years so he was interested in going. No one had been willing to go there so he was up for the challenge. I must say I was shocked by how nice the drive was into the West Bank from Israel. I was expecting to see dilapidated refugee camps and poverty. The houses I saw on the drive looked in great shape and it was nothing like I had been thinking. Of course, there are places where Israelis are not allowed to go so we didn’t see a lot of the West Bank, but the drive was quite impressive. From a security standpoint, there were a few checkpoints or armed soldiers on watch, but we were only stopped once. And when soldiers were present in a very tense area in which killings had taken place previously, I could feel the tension rise a bit. Overall, however, I felt very safe. To get to the Tomb of the Patriarchs required going through one of the settlements. It’s obviously guarded but not in an overbearing way. Once inside the settlement it feels very suburban and it is clearly an entity unto itself and is not integrated with the surrounding community except for shopping (the site of the killings I had mentioned earlier). 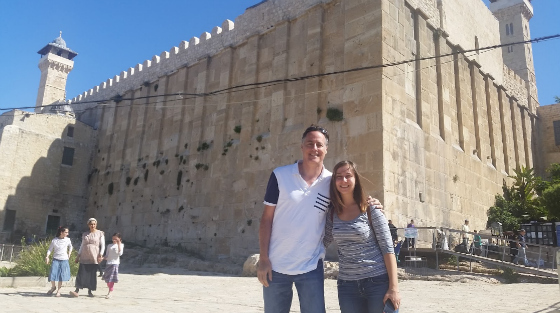 The structure in this picture was built by Herod to pay homage to the holiness of this place. It is the largest structure that still remains from his days. It is quite impressive, but what is inside is even more so. This is a picture of myself and Ashley, the daughter of our friends. There is archaeological evidence of people praying here at least 2,700 years ago. Whether the patriarchs truly existed and were buried here no one can say for sure. But what is clear is that this has been a revered site for nearly 3,000 years, if not more. 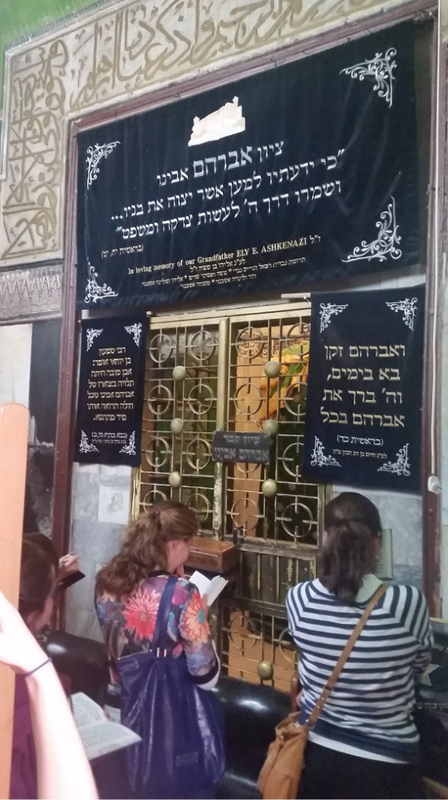 Here is the area which is above the Tomb of Abraham and you can see some women praying here. I still have a hard time believing I was there at a place that people have been coming to for nearly three millennia, if not more. 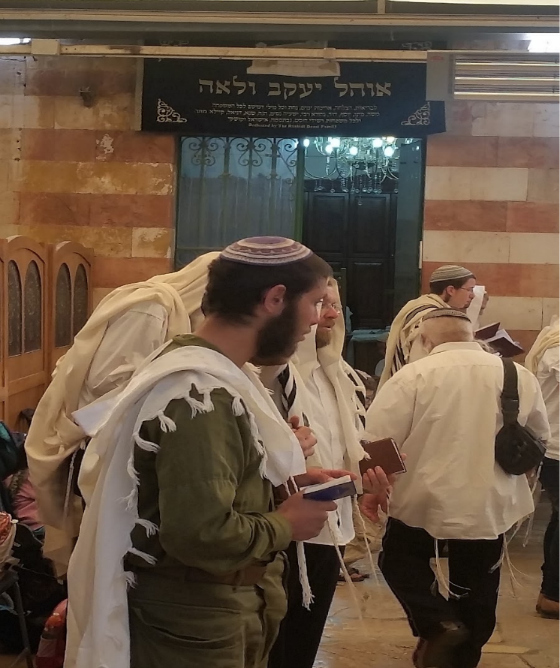 This is the central area which serves as a synagogue and lies between the tombs of Abraham and Sarah that are on one side and Jacob and Leah on the other. You can see soldiers praying with civilians. Hebron has a small but very devout group of settlers that live there surrounded by a very large Palestinian population. It has been a hotbed of sectarian violence going back to 1929. 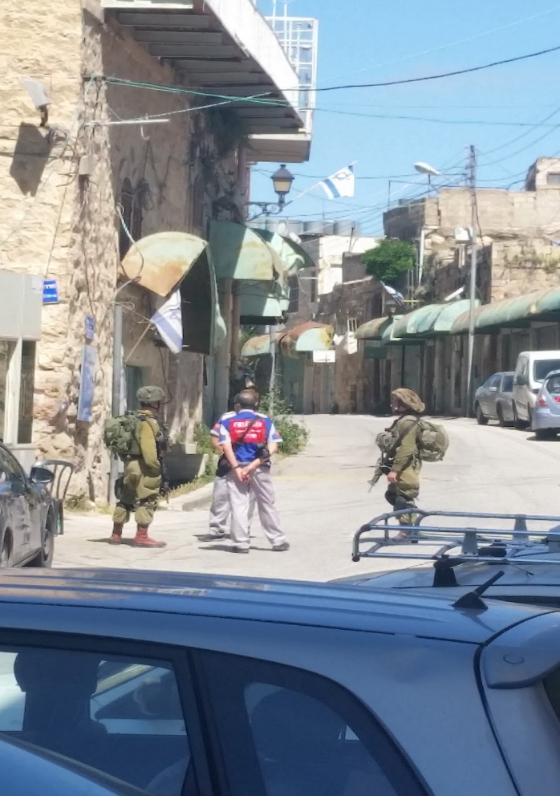 This is a picture of Israeli soldiers in a part of Hebron that is essentially deserted being talked to by Norwegian observers. Here is what I wonder. Why do the observers feel like they should be monitoring Israeli soldiers in the West Bank but feel no such compunction to do so in Tibet to watch the Chinese or in other disputed lands? After reading the book Catch the Jew during my trip I feel like I have a much better idea. I asked the soldiers if Ashley and I could pose with them for a picture and they happily obliged. 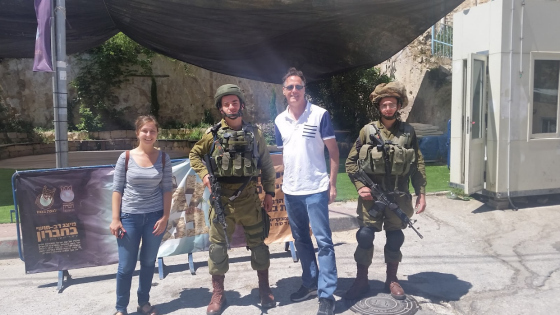 They were very eager to know if we were enjoying our time in Israel and thanked us for visiting. They are young kids doing a tough job. I feel for them. The previous week someone had come up to the guards there with a knife and tried to stab them. They do what they have to do and I hope a long term solution can come about. I wonder if it’s really possible. I wanted a picture of a West Bank settlement and this is one in the background. It’s not easy to see but what is discernible (it’s the dense community of homes in the background) is the preponderance of vacant land and large areas not populated by settlers. People talk about settlements being an obstacle to peace so I wanted to see for myself what they looked like, how big they were, how they were situated, and what they were surrounded by. This is in Herodium, which is where Herod’s burial place is, not too far from Bethlehem. I feel for the Greek people. They are worn out and have absolutely no faith in any of their politicians. This is particularly the case in Athens where the depression has had the greatest impact. What would a trip to Athens be without a picture of the Acropolis and Parthenon? Do I look like a Greek God that belongs up there? Delusions of grandeur. 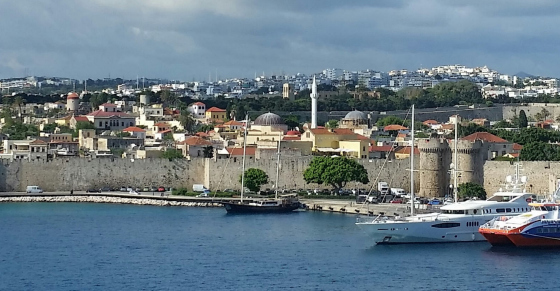 Since I am such a big fan of Charlie Munger and Warren Buffett I couldn’t help but take a picture of a moat that surrounds the old city of Rhodes. 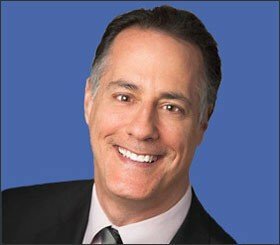 They famously look for businesses that have durable competitive advantages that they call moats. I wanted a pictorial reminder of this since Munger says that business executives should wake up each morning trying to figure out how they can strengthen their moat. That should be their main objective. I have the great fortune of living in beautiful southern California and having traveled to many places in the world. The trade-off is that I have become a bit jaded and it’s rare that a place can truly shock me in terms of its beauty. 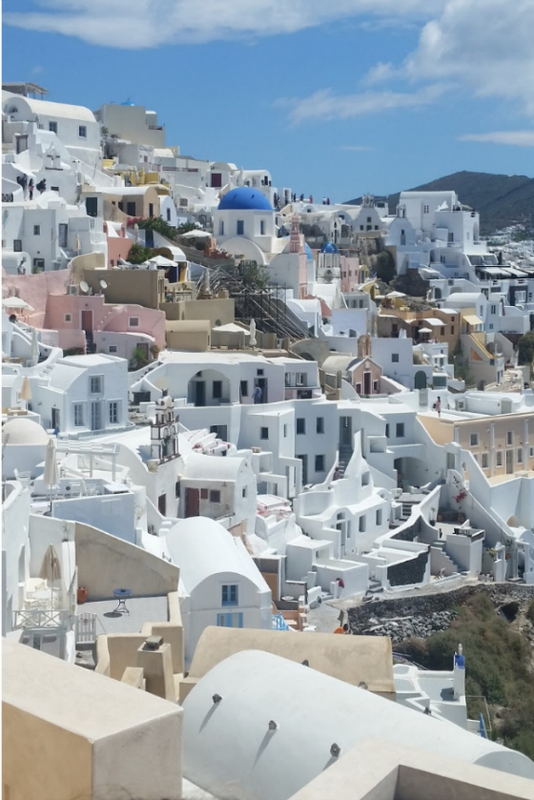 Santorini is the exception. This is unequivocally one of the most beautiful places I have ever seen and recommend highly that people see it. Even when we were there we said that it didn’t look real. It felt like we were in a dream. I hope the pictures below can convey some of its beauty. To get up to the main part of the city requires a cable car ride or donkey ride. One can walk it too but that is very challenging. 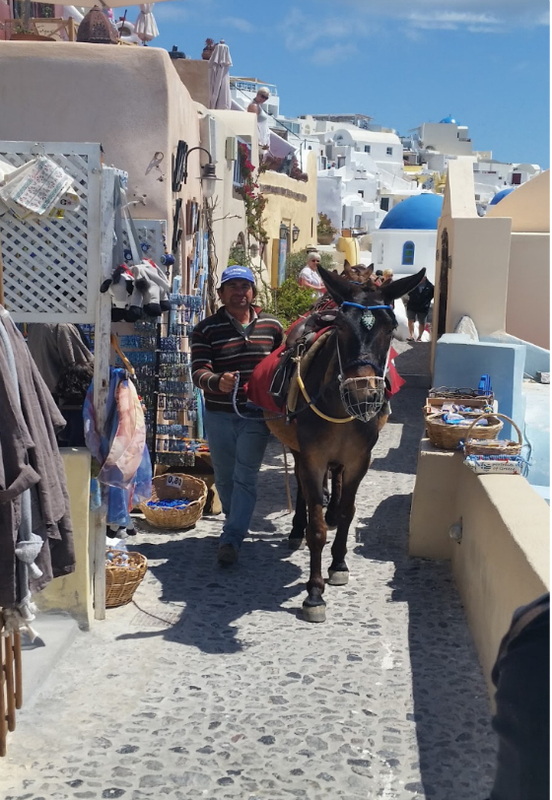 Here is a donkey strolling through the narrow streets. 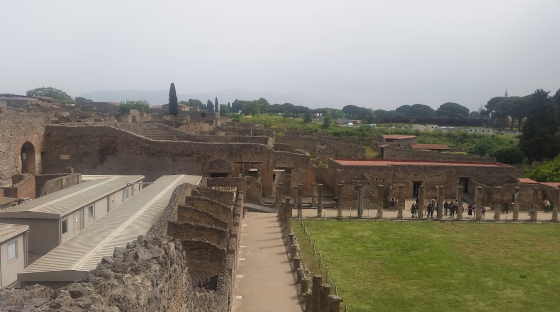 One of the stops in Italy was on my bucket list and that was Pompeii. What an amazing discovery. I was struck by the size of it and how advanced its urban planning was. 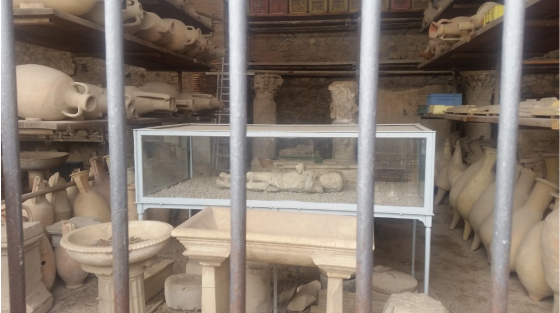 This first picture’s attempts to depict some of the scale and architecture while the second is one of the famous preserved corpses that met its demise when Mount Vesuvius literally blew its top in 79 A.D.
Off to Rome. When in Rome, do as the Romans do. This means churches and gelato! 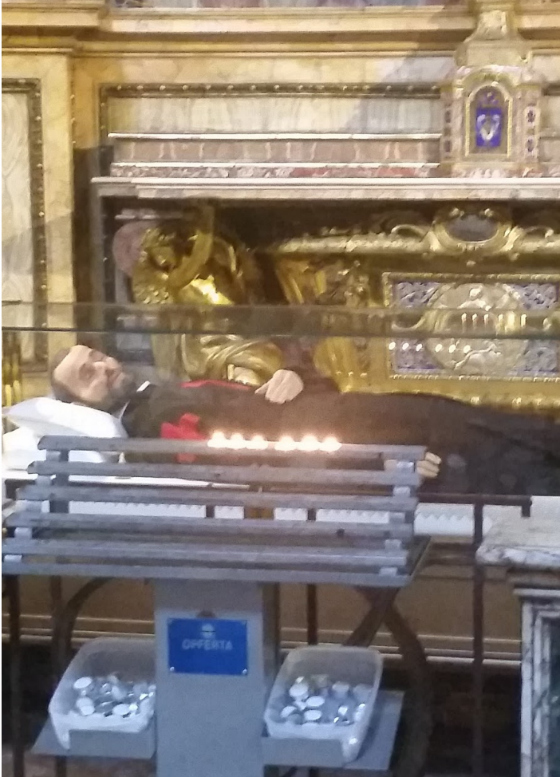 I am wondering who this person is in a church we visited and why a replica of his corpse his being displayed so prominently. It was unusual enough and interesting to me that I took a picture of it. 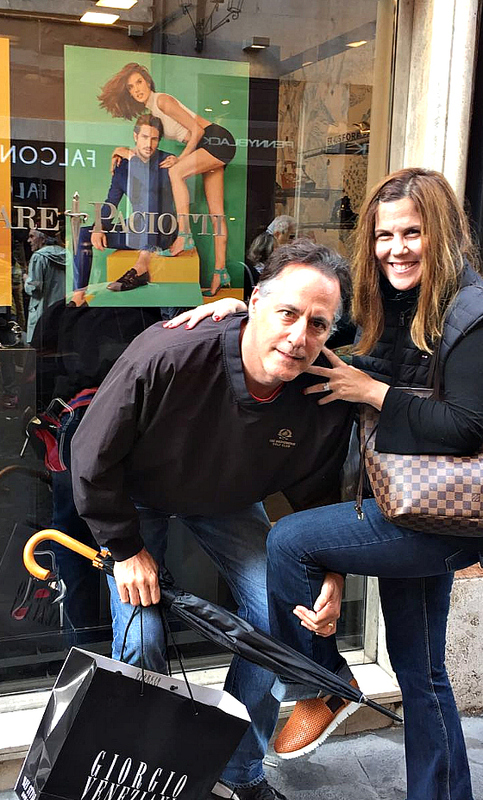 I am a big fan of gelato and of course, there is no place like Italy for gelato. 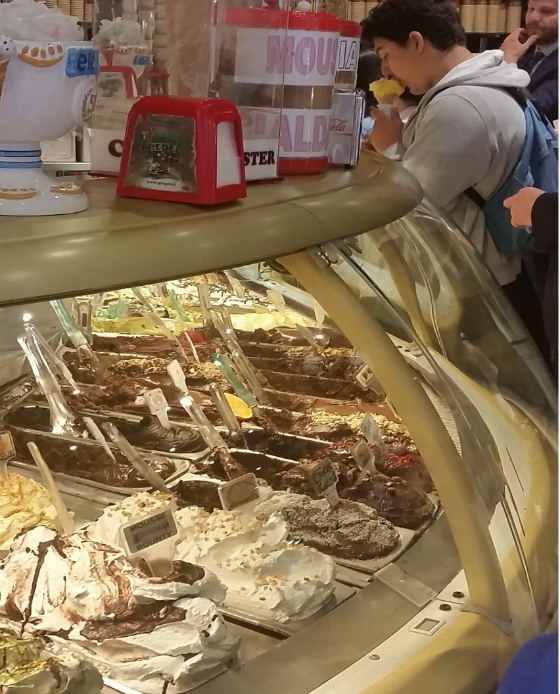 Gelato stores are ubiquitous and boy was I in heaven! Here is one offering 150 flavors! 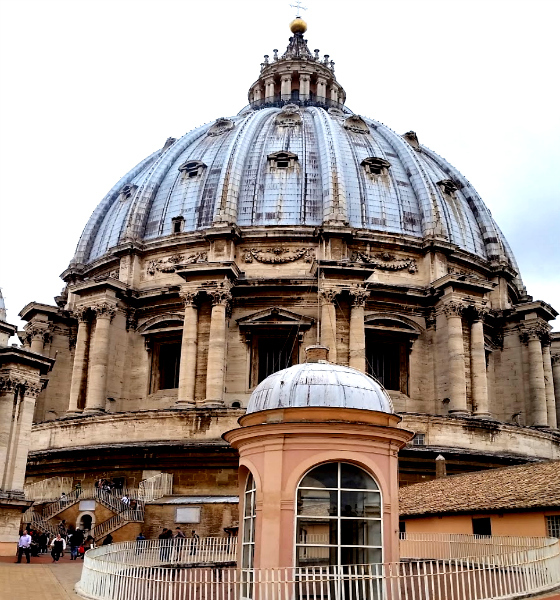 What would a visit to Rome be without a visit to The Vatican? I had actually been in Rome in August 1985 and wouldn’t you know it, it was closed for Assumption Day. I have always wanted to return to visit there and this time I was able to do so. To top it off, the weather was much cooler than it was in August. The scale of Vatican City, the architecture, works of art, historical significance, and importance to the world is breathtaking. 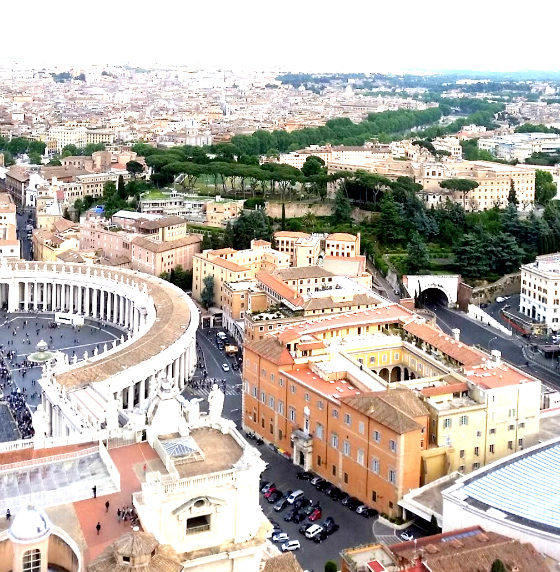 I made the trek up to the top of St. Peter’s to take in the glorious view and to snap a few photographs. I am wondering how I took this picture given I have a fear of heights. I am also wondering about the real estate down below and how it has grown in value over 500 years. Talk about irreplaceable real estate and barriers to entry! This is Michelangelo’s first work and the only one he ever signed. 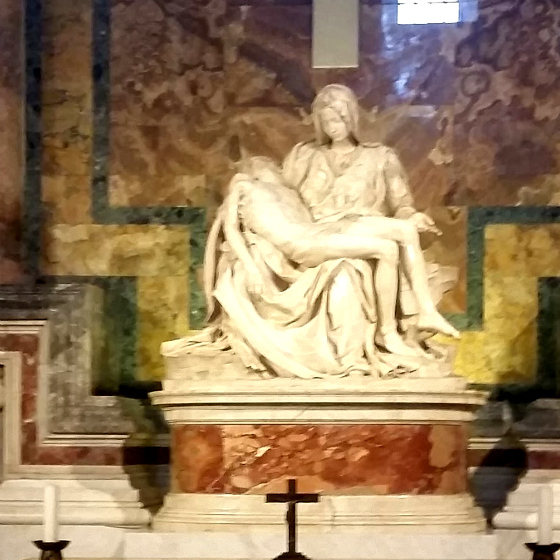 This is the famous and eternal Pieta. A sight to behold. What a genius! Finally, Italy is known for its beautiful models. I thought it was an opportunity for my wife and I to show how life can imitate art. Although we look very similar to the models behind us we didn’t do a very good job of replicating their poses. We will keep trying, though! I hope you enjoyed our little adventure and please keep wonder alive and make an effort to go see the world. Great article. Keep traveling and telling us your adventures. Good luck.